This is my entry for Nuffnang’s #MyAirbnbBucketList contest. Nothing can break me out of my blogging funk like the sweet promise of a free trip. Well, not really since it’s not really free unless I win this contest. 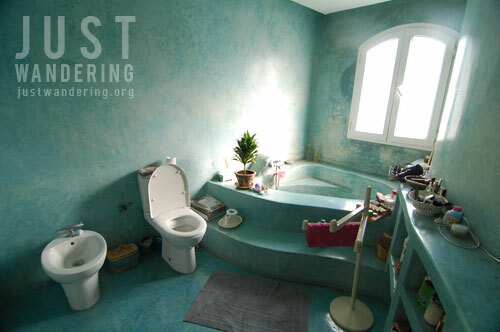 Kinda weird to be posting a photo of the bathroom this early in the post, but just look at it! Isn’t it pretty?? The past couple of months have been quite a ride, and though I have lost some of my blogging mojo, I certainly have not lost any love for travel. I may not be traveling now, but that is entirely by choice, and my choice is to lay low for now, and prepare for a longer trip in the future. So that’s what I’ve been doing: in between my full time work, my odd writing jobs, and quality time spent with my plants, I am working on a long time goal: traveling to Italy. I’ve decided to stop dreaming and finally start making this into a reality. Aside from reading about the places I want to visit (and discovering new places I want to explore), I’ve started looking at apartments to help me gauge just how much I need to set aside to afford this trip. I’m leaning towards apartments and not hostels or guesthouses this time, because I want to try traveling slowly — I plan to stay in one city for at least one week to really get a feel of the place and experience the local life. That’s where Airbnb comes in. Airbnb is one of the biggest marketplace for apartment rentals. The site connects people to unique travel experiences, at any price point, in more than 34,000 cities and 192 countries. Plenty of other sites have popped up through the years, but Airbnb has a more diverse listings; I’ve seen properties listed in their website that are not in other sites. This specially works great for me, since I like traveling to smaller cities and towns, and that’s where the competition falls short. 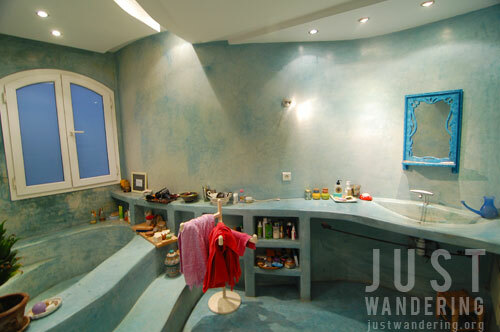 The bathroom again from another angle because we just couldn’t get enough of its prettiness. 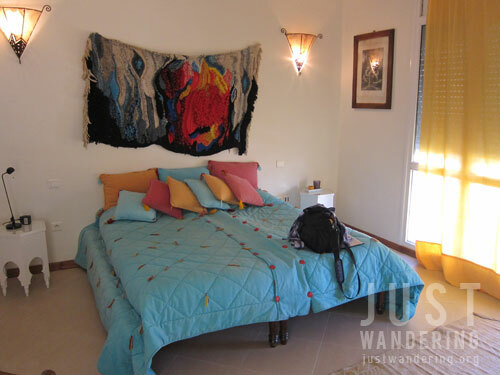 I’ve had a chance to stay at an Airbnb listed property several years ago in Morocco. My friend and I had to stay overnight in Casablanca before catching our flight back to Abu Dhabi. We were looking at hostels, and none were appealing to us. 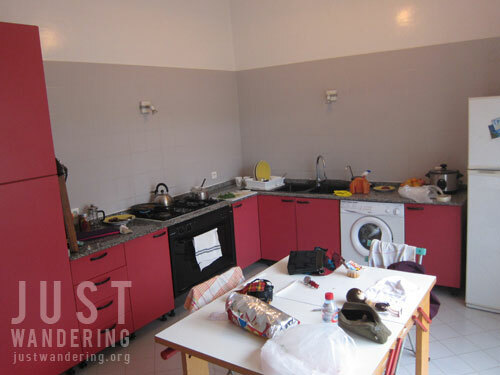 I’ve just learned about Airbnb then, and I was eager to try it out, so we took a chance and looked at the properties available in Casablanca. That’s when we discovered the Green Oasis. The pictures looked like it came from one a magazine, and even if we knew at the back of our minds that with creative angling and lighting, pictures can be deceiving. Still, its pull was great, and we took the chance. The owner’s graciousness in the email correspondence with my friend was also a factor in getting my friend to click on that Request to Book button. The kitchen and a mess of gadgets and dolls because we had to take photos. We just had to! Since we will be staying there on a holiday weekend, Cristina, our host, was out of town. She did, however, gave us the contact number for the caretaker, and even called when we were at the house to ensure that we are comfortable and had everything we needed. The house was exactly how it looked in the pictures. We could hardly contain ourselves when we walked in. It was the kind of house you wish you had, and we immediately regretted that we were only staying for a night. It was beautifully designed, like it was primped to look that way for a shoot, except it also feels lived in. 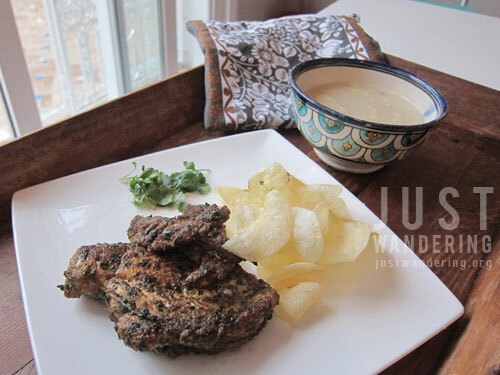 Pan seared chicken breast seasoned with cumin, parsley and coriander. There was a supermarket down the street from Cristina’s house, and since we were exhausted from traveling all around Morocco, we opted to just buy ingredients for a home-cooked dinner. Using what I learned from the cooking class I joined in Marrakech, we sat down for a dinner of overly-spiced chicken breast. Fail. It did feel great to have full kitchen after two weeks of traveling though, even better to feel the comforts of home. Cristina also provided some bread for breakfast, which was a really nice gesture. Our stay at the Green Oasis was such a great experience that I’m excited to find a similar place for that trip to Italy. Isn’t this just the cutest? View the Ancona Sirolo Numana Senigallia listing on Airbnb. I’ve started marking places I want to stay in, thanks to Airbnb’s Wishlist feature. It’s a great way to spend the break between work imagining myself in the pictures I’m seeing in my screen. 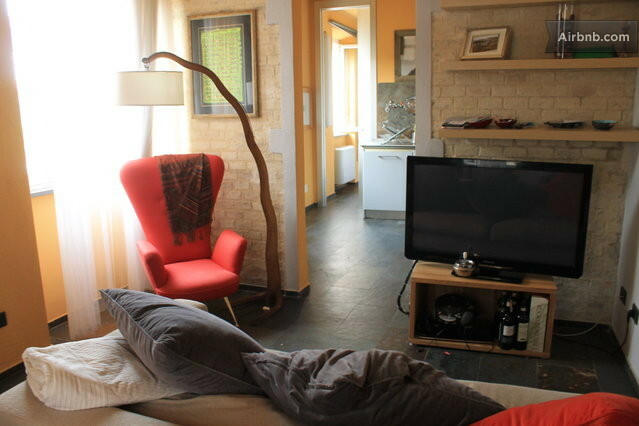 There’s this gorgeous old brick house in Castiglione del Lago, the delightful flat of a musician in Ancona, and this charming and cozy space also in Ancona. That’s just a very small sampling of what would probably be a continuously growing list. That’s what in my #MyAirbnbBucketList. What’s in yours? Want to give Airbnb a try? Sign up using my referral link and earn €19 (or equivalent) credit for your first booking! You can even earn more credits if your friends sign up using your referral link, and even more if they host! So how does this work? You get referred to a place you can stay in?